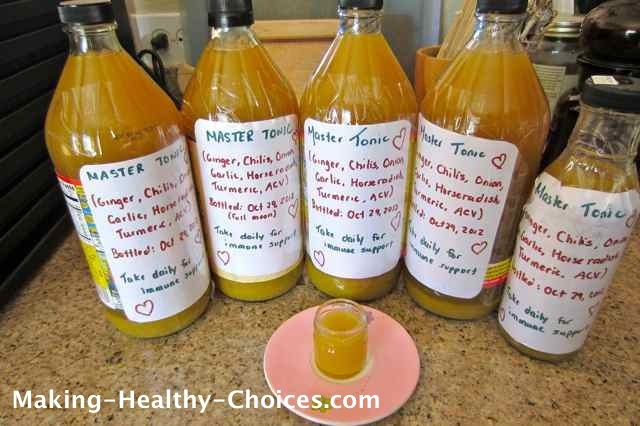 This master tonic is easy to make, a little shot every day to support your health - made with wonderfully healing foods. Take your health into your own hands. 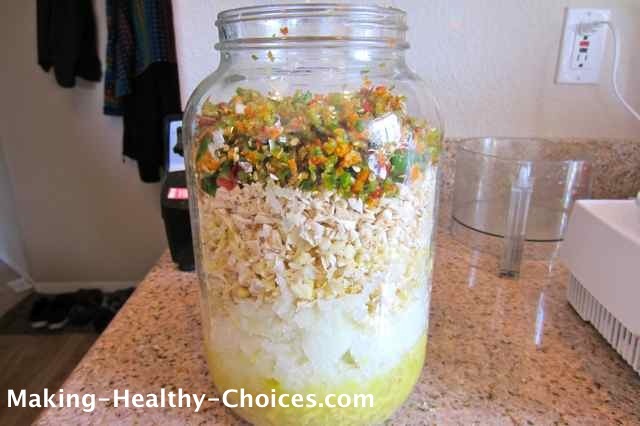 This Master Tonic is a rendition of a very old method of taking care of ourselves. As I make and use this I feel as if I am bringing age old wisdom into my home and into my life. 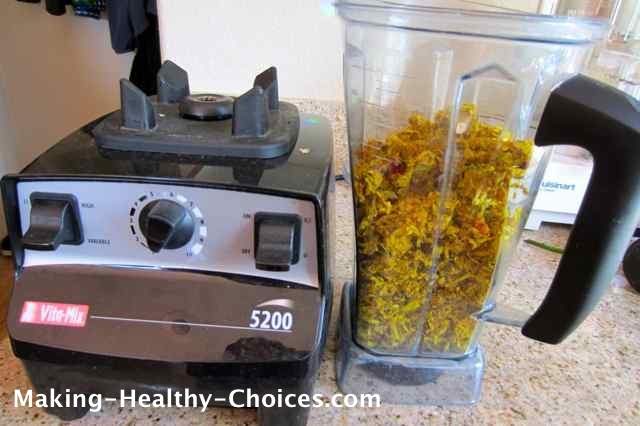 This is a great natural home remedy that is so great to have on hand. 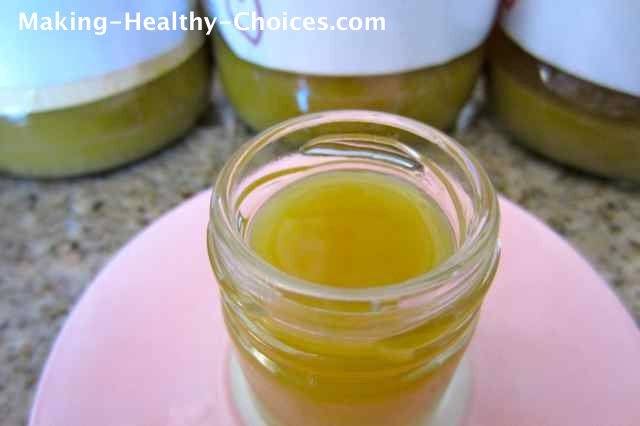 This health tonic is a remedy that is perfect to take every day for immune support and overall health support. 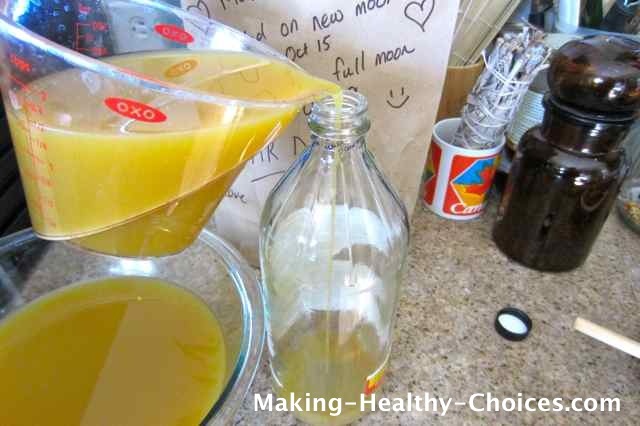 If you are sick with the cold or flu, allergies or congestion this Master Tonic can also be taken to help your body to heal faster. As a preventative (for general health, immune system support and longevity) take a shot (1oz) every day. In our home this is something that we do every day throughout the winter months. When sick, take a 1oz shot 2-3 times a day. Ginger: stimulates digestion, eases digestive distress, alleviates nausea, boosts circulation, respiration and nervous system function, eases congestion, cleanses systemically, anti-inflammatory, anti-parasitic, fights cold and flu symptoms. Onion: supports kidney function, great for skin and hair, antioxidant properties, anti-inflammatory, anti-viral, antibiotic, anti-parasitic, can help move heavy metals out of the system, fights cold and flu symptoms. 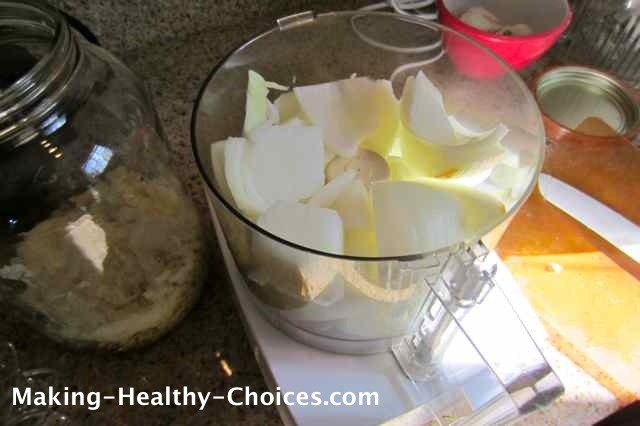 Garlic: anti-parastic, great for skin and hair, stimulates metabolism, fights cold and flu symptoms, anti-bacterial, anti-fungal, supports spleen, pancreas, stomach, kidney and lung functions, helps to normalize blood pressure, blood sugar and cholesterol, supports healthy gut flora, helps to eliminate toxins. Horseradish Root: increases circulation, stimulates the lung and colon functions, antibacterial, good source of iron and potassium, fights cold and flu symptoms. Hot Peppers: anti-parasitic, high in antioxidants, mood enhancer, enhances blood circulation, supports spleen, pancreas, stomach, colon, lung and heart functions, stimulates digestion, dispels mucous, eases congestion, fights cold and flu symptoms, cleanses systemically. 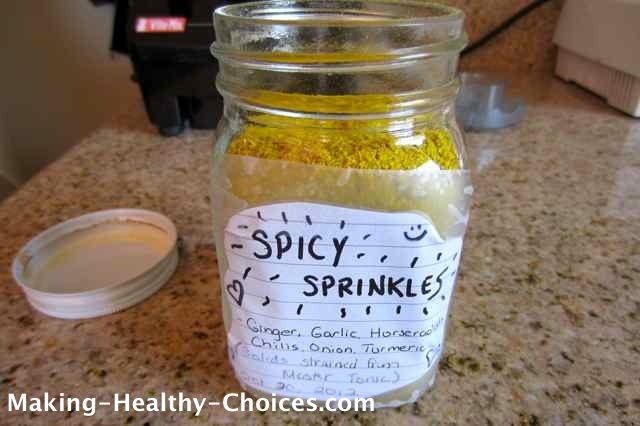 Turmeric: supports spleen, pancreas, liver and stomach functions, enhances digestion, supports immune system functions, cleanses systemically, fights cold and flu symptoms, anti-bacterial, aids in regulating blood sugar. 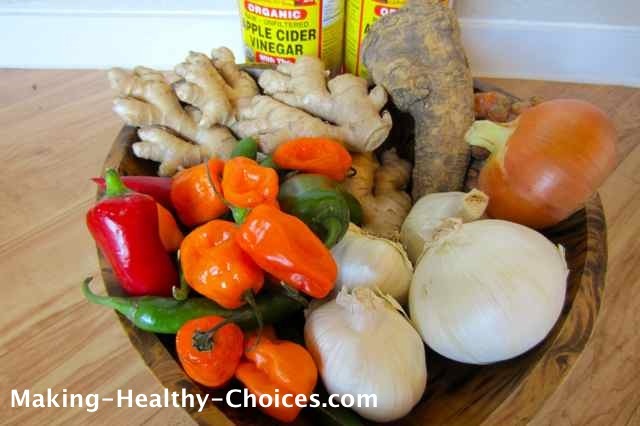 Apple Cider Vinegar (raw and organic): increases circulation - moving blockages both physically and emotionally, normalizes pH, cleanses the digestive tract, supportive of the gallbladder/liver functions, helps joint function, fights off fatigue, headaches, food poisoning, insomnia. I have just consumed my daily shot of our tonic and as I type these words I can feel the heat and energy resonating throughout my entire body. 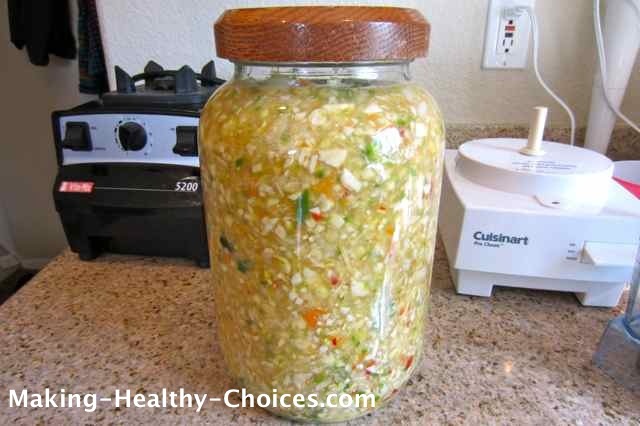 Chop and add to a glass jar. 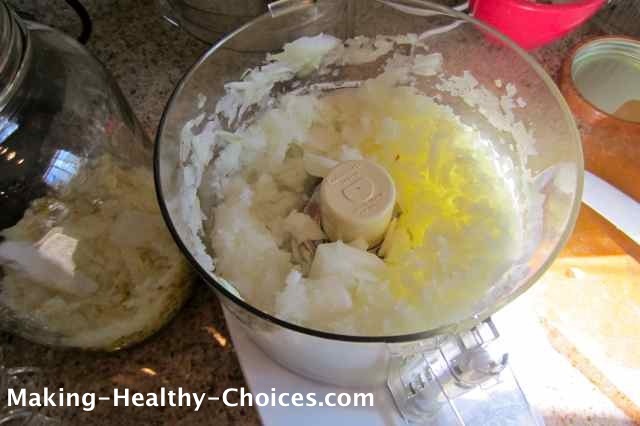 I used a food processor to help me do all the chopping. 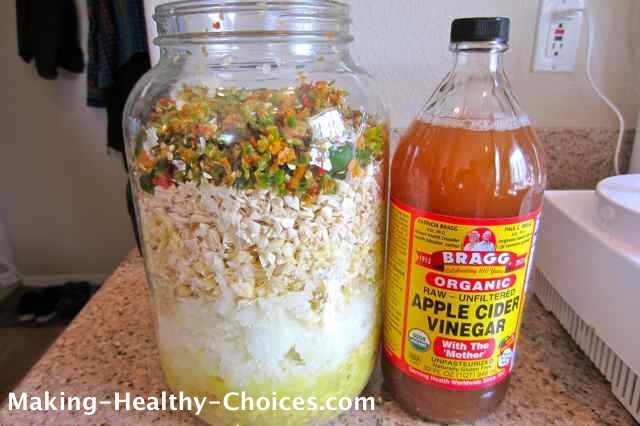 Cover with raw organic Apple Cider Vinegar. 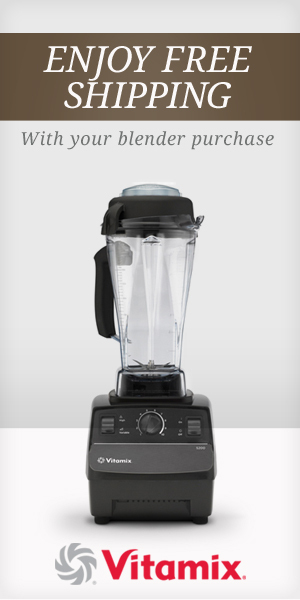 Keep in a dark place for 2 weeks, shaking or stirring daily. I kept mine on the counter top and covered it with a paper bag. After 2 weeks strain out the solids and bottle the liquid. 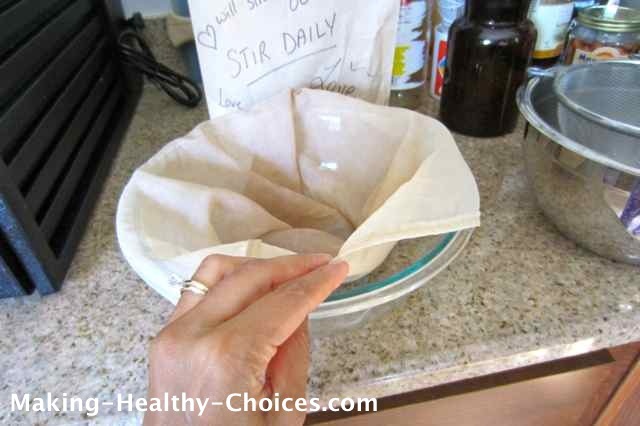 To strain I put a nut milk bag (you can also use cheesecloth) over a bowl and then squeeze as much of the tonic out as I can. This liquid is your Master Tonic. 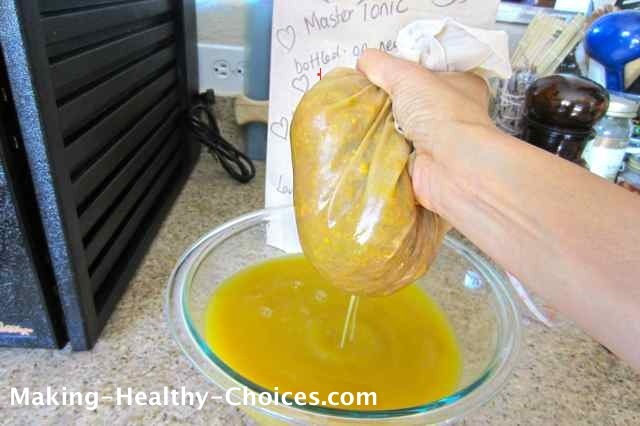 If desired you can add raw honey to your tonic before drinking. 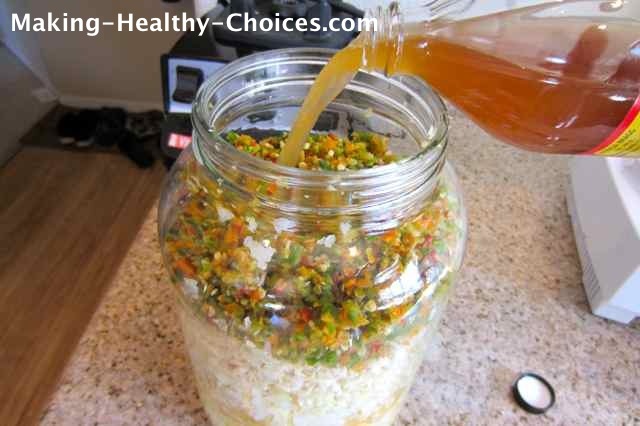 This will give you the many health benefits associated with raw honey and will sweeten the taste of your tonic. 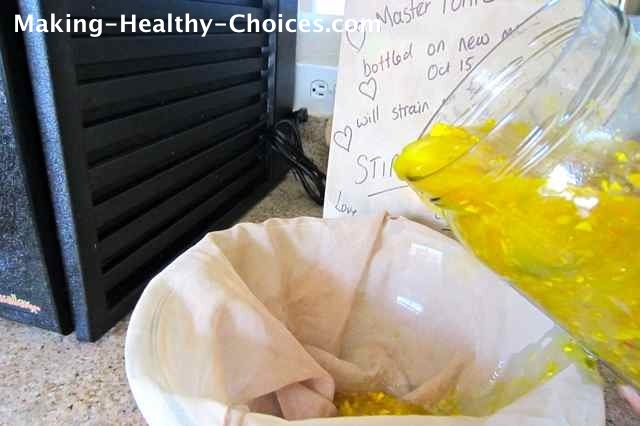 Store your tonic in glass jars. We make enough to last all winter long and we store the bottles on our counter top or in our pantry (not in the fridge). 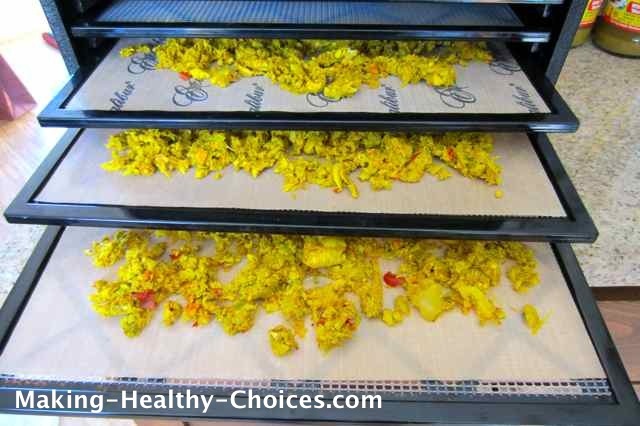 The solids that are leftover after straining can be dehydrated (I use an Excalibur Dehydrator), powdered down (I use a Vitamix Blender to do this) and used as a spicy sprinkle that you can add to soups, salads, wraps, etc. Start your tonic on the new moon and strain on the following full moon. 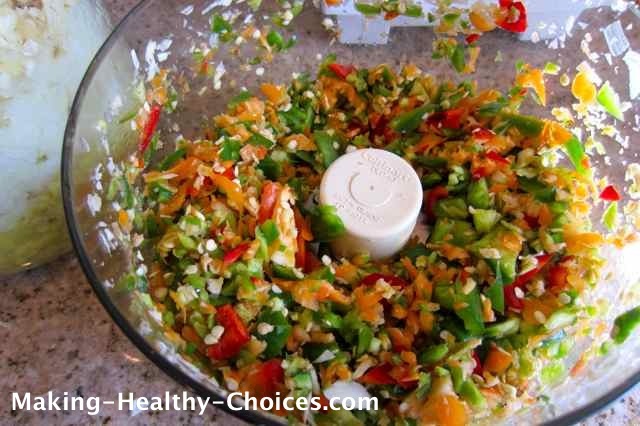 It is nice to work with home remedies in this way, this can bring an energy larger than yourself into your medicines. Start this and all of your creations with LOVE - it is the secret ingredient that will take everything you make to the next level. 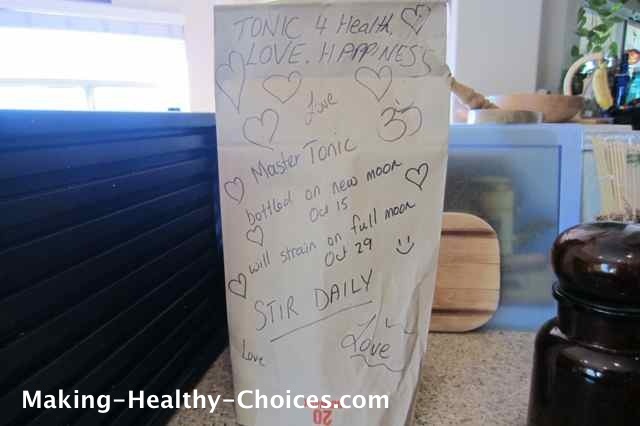 When shaking or stirring your tonic every day for the 2 weeks, infuse your brew with healing and loving thoughts and energy. 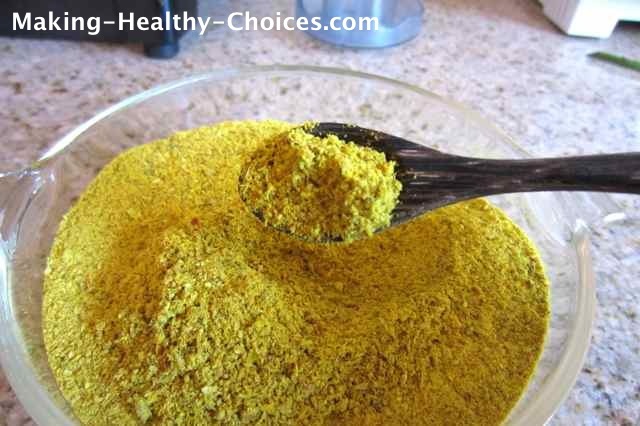 The above recipe didn't include turmeric but I usually add some chopped turmeric into the mixture. If you don't have all of the ingredients, don't let that stop you from proceeding, make the tonic with what you have, it will still be powerful.